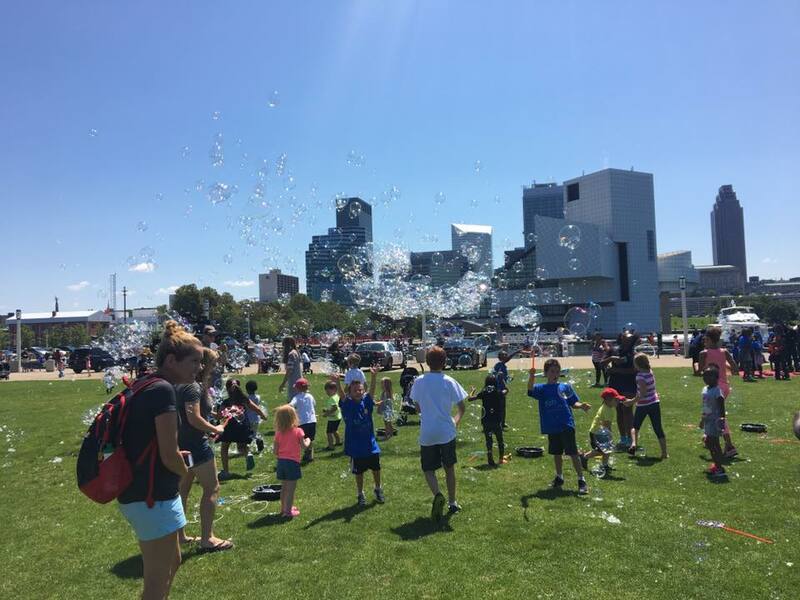 Join us July 30, 2019, at Voinovich Park in North Coast Harbor for the North Coast Harbor and Cleveland Police Foundation Kids Fish Free Day! Kids 16 & under grab your fishing gear & head to the pier for our Annual Kids Fish CLE for FREE event- limited poles & bait will be available from 11:00AM to 3:00PM Tuesday, July 30th. First 100 kids receive a new Shakespeare combo rod! 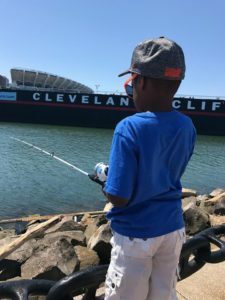 To make your day enjoyable Downtown Cleveland Alliance, Prime Time Junior Bass Anglers and the North Coast Bass Anglers Association volunteers will be on site to assist. 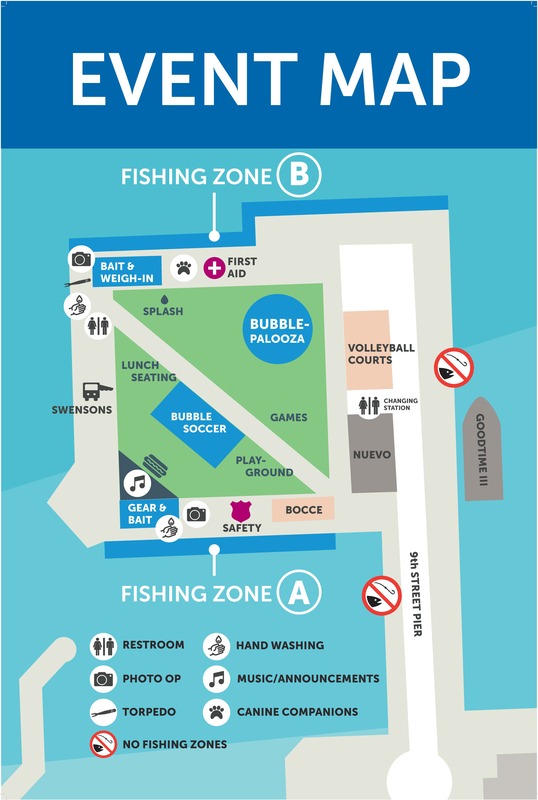 We have 2 fishing zones this season: Voinovich Park and the North end of E9th Street Pier. Outdoor activities include: DCA City Advocates Pop-Up Playground, bocce ball, volleyball, giant checkers & jenga. Kids can also have fun leaving their (temporary) mark at North Coast Harbor in our designated chalkART zone. The infamous DR. U R Awesome will mesmerize the kiddos with bubblepalooza. The Cleveland Police Foundation will be serving up free hot dog lunch (while supplies last). For the non-hotdog lovers Swenson’s Food Truck will be on site serving galley boys (cash & credit card accepted). 2019 Event Map coming soon, 2018 map below! Two (2) public restrooms are onsite (North of Nuevo Cleveland) ADA accessible and equipped with babychanging stations. Additional portable toilets and hand washing stations will be located within the park. Parking in North Coast Harbor ranges from $5-$15 for the day. Recommended $5 lot is located North of FirstEnergy Stadium. Click here for options! Coming off E9th: Turn LEFT onto Erieside (front Rock Hall), Turn RIGHT at stop sign (between GLSC & FE Stadium), Turn LEFT at stop sign and immediately Turn RIGHT into the parking lot.